Therefore, TVReport specifically interviewed manager Shin Re Yon who is the personal fashion stylist of Shin Ha Kyun for 8 years and in charge of costume in Brain via telephone, talking to her about the clothing of Shin Ha Kyun in Brain. – What is the concept of Shin Ha Kyun’s fashion? “Every time the clothing is set after reading the script and according to up and down of Kang Hoon’s emotion. When Kang Hoon is in bad mood, generally is shirt without tie, and recently when the position is getting higher and is doing good, will use the coat and glasses. – Heard that when changing clothes, even the socks are changed for a different one? – What’s the brand and price of the clothes? 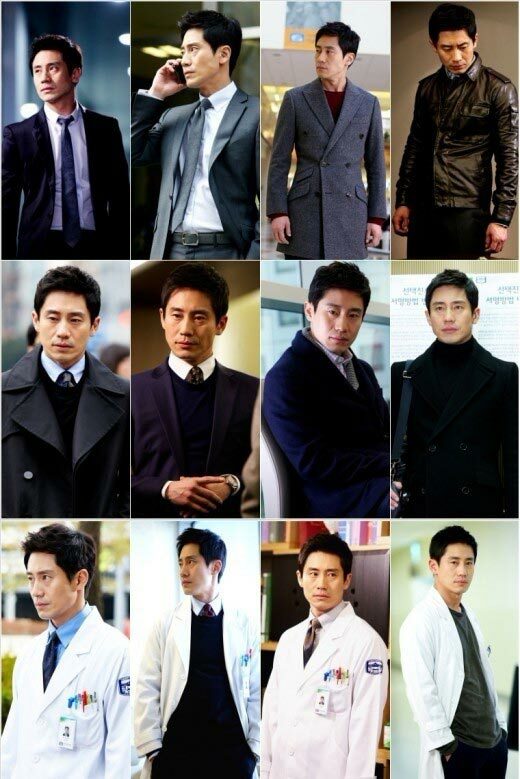 – When deciding the concept of clothing, how much does Shin Ha Kyun participates in it? – The voice of “fashion stylist should receive an award” is many.